Ultra-DI DI20, DI from Behringer in the Ultra-DI series. 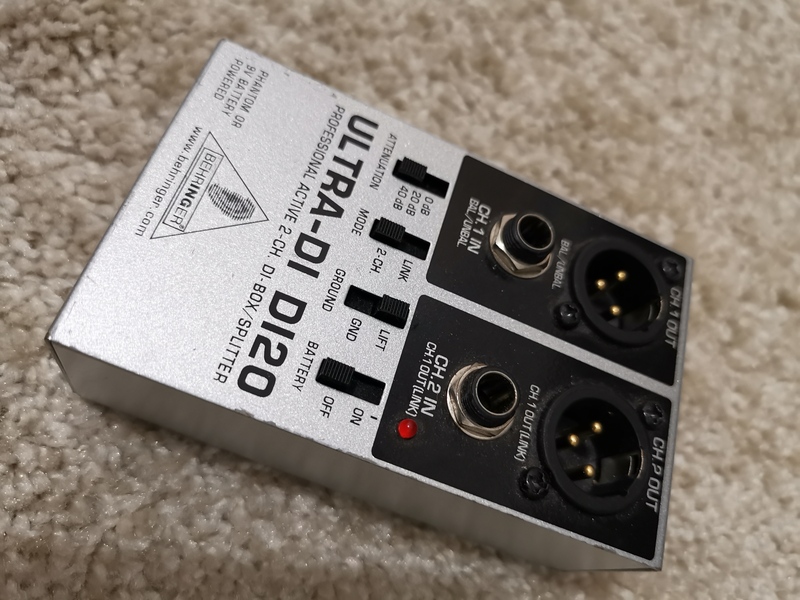 The ULTRA-DI DI20 is an active 2-channel DI-box/splitter that takes the signal directly from an unbalanced high-impedance output—like an electric guitar—and feeds it directly into a mixing console or recorder. It is ideally suited to augment the traveling gear of musicians (especially guitar/bass players) as well as live/studio/broadcast engineers, installation contractors and studios/live event engineers. 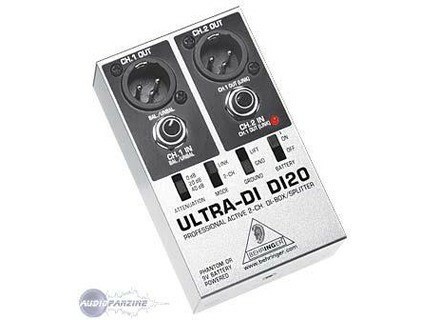 The DI20 converts 2 separate unbalanced 1/4\" jack inputs into 2 balanced XLR outputs. There is a 2-channel/link mode for flexible usage as mono, 2-channel or splitter box. In link mode, channel 1 can be split up into 2 balanced XLR connectors plus 1 unbalanced 1/4\" jack connector. Switchable input attenuation in 3 ranges allows input levels of up to +48 dBu, while a ground lift switch eliminates typical ground loop problems. It operates either by using a 9 V battery or by using 48 V phantom power. The whole package is enclosed in a compact, road-suitable housing. 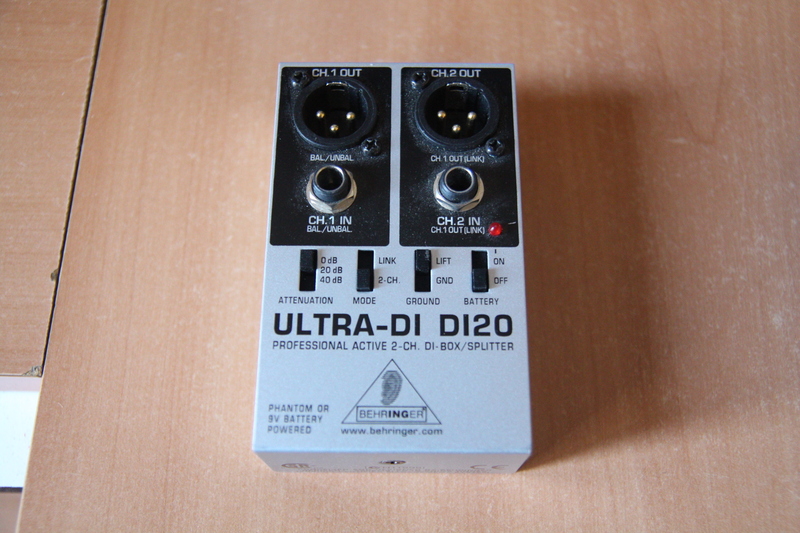 The Behringer Ultra-DI DI20 is a two channel direct input box for use in the studio or on the stage. I’ve only used the DI20 on a single occasion in a home studio that wasn’t my own. On paper it’s a very nice DI box, as it’s versatile between the two channels. Each of these two channels consists of a ¼” input and an XLR output. You can power it with either phantom power of a nine volt battery. It isn’t rack mountable as its it’s own floating DI box. It’s not at all hard to use the Behringer Ultra-DI DI20. Once you’ve made your connections, you’ve got a series of parameters to work with, which is nice because you don’t normally find too much on DI boxes in general. 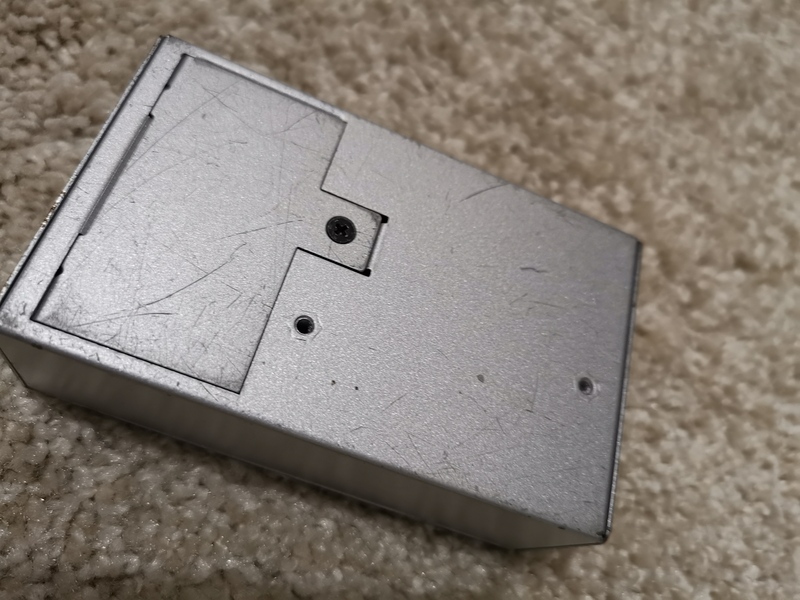 There’s a battery on switch, a ground lift switch, a mode switch for linking the two channels, and an attenuation pad which you can set to either – 20 or – 40 db. Unfortunately, the sound of the Behringer Ultra-DI DI20 brings it down a few notches. It definitely doesn’t sound awful, but when compared to some other DI boxes out there it’s definitely lacking a bit. I guess it’s the tradeoff that you get when you’re getting two channels of a DI box at this cheap price. In a smaller home studio setting the Behringer Ultra-DI DI20 will be suitable, but otherwise I’d probably stay away from it. 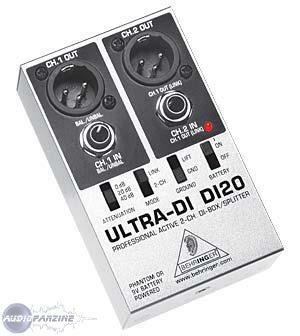 While on paper the Behringer Ultra-DI DI20 is a great DI box, the sound just isn’t as true as I’d want a DI box to be. It’s a good way to get two pretty in depth DI’s at an incredibly cheap price, but if you’re looking for professional sound, which for me is the end all, I’d probably recommend investing a few more dollars in something else. I also don’t know how well this would hold up over time as it feels pretty cheap and Behringer doesn’t have a great reputation when it comes to this. Check it out if you’re really on a tight budget, but otherwise there are plenty of other options out there that are better and won’t break the bank. routmoute's review (This content has been automatically translated from French)" Well"
DI entered 6.35mm XLR output. 9v battery or phantom power. Possibility of use in parallel or 2 channels. Simple configuration, no manual, but is easy to understand how it functions. it's behringer. worth its price, it does the job but the sound is not great. It is a DI that troubleshoots well, that works, that's fine. I buy it because we just use 2-channel and cheap. V old man on the hill's review (This content has been automatically translated from French)" YES or NO." 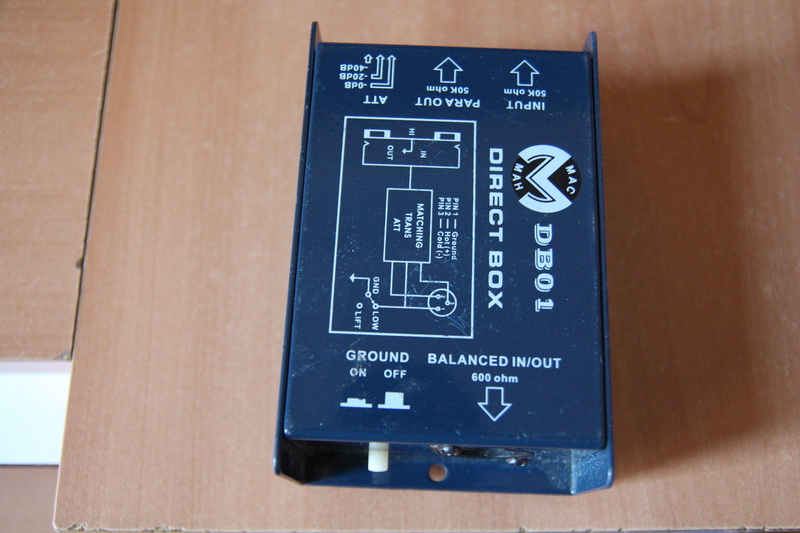 It is a dual active DI (Phantom or 9v battery). Which implies 2 inputs and 2 outputs jacks XLR balanced, as is the goal of the operation. 1 switch: two parallel channels or 1 channel input 2 becomes an output link. 1 on / off the 9v battery. The red LED accompanies the arrival of the signal in the 48v engine. And all this in a box the size of a matchbox waste. Or connect unbalanced sources and "abracadabra" they ressortes balanced. But I insist a DI box pre amplifies your signal. And yes the passage db-10db 4 is a preamp and this is that how do you expect any form of sound quality in a package whose components are selected on criteria of cost. The DI 20 planes and metallized your signal, the dynamics of your sound is clearly diminished. When the breath, this box is certainly anything but "noiseless" but the problem never comes by chance and often transcribed DI and amplifies a catastrophic chain cumulated noise devices phases and output levels uncertain and generally coming through low cost cables and connectors varied (RCA mini jack). But let justice in this case, which in many cases has saved the lives of professional plateaus. The box at the bottom of the bag, at the bottom of the truck. That nobody wants because it says Behringer above, but at the end of the benefit is rewarded with a "finally held it in". DI 20 is a good troubleshooting tool that, unfortunately for her, the views of its sound quality is insufficient be first in line to the bridge of the home studio to the stage. Splotch's review (This content has been automatically translated from French)" Cheap sound acceptable"
Active direct box, Mono amplifier with reference (link) without reference or stereo amp. Two jacks and two XLR outputs, LED operation. Ability to operate on 9 volt battery or phantom power. Mode choice focntionnement mono or stereo on / off button in case of battery operation, -20 and-40dB PAD, ground lift. Easy to use access to the battery compartment is easy but requires a screwdriver. The operating LED indicates whether the battery is dead or if the phantom power works. I use it mainly for synth in stereo and without this exceptional DI widely enough for a coffee or a concert again. I used the first time it has been more than 4 years, this one still works despite storage in damp places sometimes. I work primarily with BSS AR-133 at work and I also has a Radial JDI. These two models are incomparable in the course details restitution compared to this one. The prices have more elsewhere. A very good value for an ID that can do stereo.